This 2019 Discovery Sport SE is Santorini Black with an Ebony/Ebony interior. The vehicle includes 18'' Black Design Package, Climate Comfort Package, Convenience Package, Row 3 Package, Car Care Kit, a Rear Seat Convenience Pack.Price includes $1,500 VIP Pkg (Clear Tex, Paint Guard, Leather Guard, Fiber Guard, Loaner Vehicle within a 50 mile radius)For more information please contact our dealership. You can call 801-903-4500 or visit us at 155 S Frontage Rd. in Centerville, Utah and a sales representative will be happy to assist you. 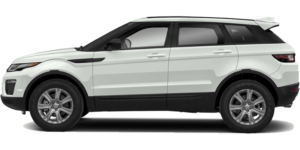 This 2019 Discovery Sport SE is Fuji White with Glacier / Lunar interior. The vehicle includes 18'' 5 Split-Spoke Style 511 w/Gloss Dark Grey Finish, Climate Comfort Package, Convenience Package, Row 3 Package, Interior Protection & Storage Pack, Car Care Kit, and Rear Seat Convenience Pack.Price includes $1,500 VIP Pkg (Clear Tex, Paint Guard, Leather Guard, Fiber Guard, Loaner Vehicle within a 50 mile radius)For more information please contact our dealership. You can call 801-903-4500 or visit us at 155 S Frontage Rd in Centerville, Utah and a sales representative will be happy to assist you. This 2019 Discovery Sport SE is Corris Grey with Ebony/Ebony interior. The vehicle includes 18'' Black Design Package w/Black Contrast Roof, Climate Comfort Package, Convenience Package, Row 3 Package, Blind Spot Monitor & Reverse Traffic Detection, Car Care Kit, and Rear Seat Convenience Pack.Price includes $1,500 VIP Pkg (Clear Tex, Paint Guard, Leather Guard, Fiber Guard, Loaner Vehicle within a 50 mile radius)For more information please contact our dealership. You can call 801-903-4500 or visit us at 155 S Frontage Rd. in Centerville, Utah and a sales representative will be happy to assist you. 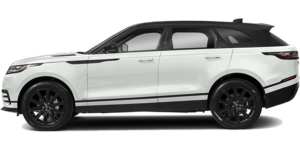 This 2019 Discovery Sport HSE is Fuji White with Ebony/Ebony Grained Leather interior. The vehicle includes Sirius XM Satellite & HD Radio, Cirrus Headlining, 18'' Black Design Package w/Black Contrast Roof, Vision Assist Package, Climate Comfort Package, Row 3 Package, Premium Interior Protection & Storage Pack, and Car Care Kit. Price includes $1,500 VIP Pkg (Clear Tex, Paint Guard, Leather Guard, Fiber Guard, Loaner Vehicle within a 50 mile radius)For more information please contact our dealership. You can call 801-903-4500 or visit us at 155 S Frontage Rd. in Centerville, Utah and a sales representative will be happy to assist you. 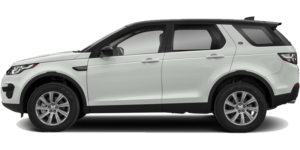 This 2019 Discovery Sport HSE is Fuji White with Ebony / Ebony Grained Leather interior. The vehicle includes Sirius XM Satellite & HD Radio, 18'' Black Design Package w/Black Contrast Roof, Vision Assist Package, Climate Comfort Package, Row 3 Package, Interior Protection & Storage Pack, Car Care Kit, and Rear Seat Convenience Pack. Price includes $1,500 VIP Pkg (Clear Tex, Paint Guard, Leather Guard, Fiber Guard, Loaner Vehicle within a 50 mile radius)For more information please contact our dealership. You can call 801-903-4500 or visit us at 155 S Frontage Road in Centerville, Utah and a sales representative will be happy to assist you. The continuation of our design philosophy. With its distinctive coupe-like silhouette, the Range Rover Evoque is a compelling successor to the vehicle that captured hearts all over the world.Capable on- and off-road handling, combined with capability in various weather conditions help this compact SUV deliver a confident drive in challenging conditions.The intuitive and innovative optional Range Rover Evoque technologies include Land Rover InControl Touch Pro Duo16, a 12.3 Interactive Driver Display, Head-Up Display1 and Meridian Audio. 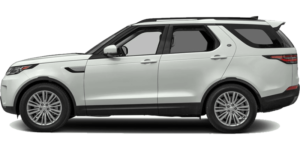 This 2019 Discovery Sport HSE is Fuji White with Ebony / Ebony Grained Leather interior. The vehicle includes Driver Assist Plus Package (InControl Touch), Sirius XM Satellite & HD Radio, InControl Apps, 19'' Black Design Package w/Black Contrast Roof, Vision Assist Package, Adaptive Cruise Control Package, Climate Comfort Package, Row 3 Package, Premium Interior Protection & Storage Pack, and Car Care Kit.Price includes $1,500 VIP Pkg (Clear Tex, Paint Guard, Leather Guard, Fiber Guard, Loaner Vehicle within a 50 mile radius)For more information please contact our dealership. You can call 801-903-4500 or visit us at 155 S Frontage Road in Centerville, Utah and a sales representative will be happy to assist you. 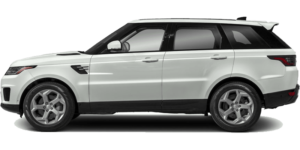 Whether you're heading out to run errands or heading off-road, the Land Rover Discovery is up to the task. Its towing capacity of up to 8,201 pounds and available features including Tow Hitch Assist help make towing effortless.The infotainment system delivers the highest levels of connectivity and information. From ingenious driving, parking and towing aids to state-of-the-art navigation technologies, you have the world at your fingertips.The versatility of the cabin is highlighted by the easily configurable available seven-seat layout and plentiful storage, with thoughtful use of space and refined comfort. Optional Intelligent Seat Fold allows you to configure the second- and optional third-row seating using switches located in the cargo area or via the main touchscreen. 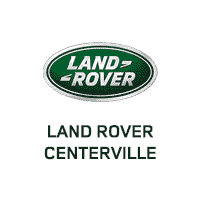 *Total value when financed through Land Rover Centerville . See dealer for complete details. Expires 5/1/2019. Excludes taxes, title, doc fees and other dealer fees. OAC. 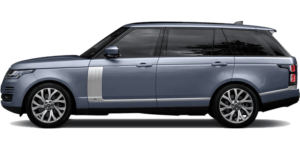 Offer available on stock#:2R8251, VIN#JA775103.